It’s taken 71 years to get there, but the Chicago Cubs are finally back in the World Series for the their first time since 1945. Few people can actually tell you from experience what’s like to be inside Wrigley Field to watch the team play in the Fall Classic, but Jim Schlegel is one of them. Schlegel, 97, is an Army veteran living in Elgin. He survived the attack on Pearl Harbor. He was at Wrigley when the Cubs lost to the Detroit Tigers in Game 7 of the World Series in October 1945. A box seat ticket to Wrigley for that 1945 World Series cost $7.50. Schlegel’s granddaughter started a GoFundMe page to get him back to Wrigley Field for another World Series game. Thanks to generous donations, he's headed to the ball park — an update on the GoFundMe page said CNBC reality TV host Marcus Lemonis provided two tickets, with the more than $12,000 that was already donated going to the Purple Heart Foundation. Another lucky fan about to see the Cubs in the World Series for the second time is Phil Nienstedt from Phoenix, Arizona. 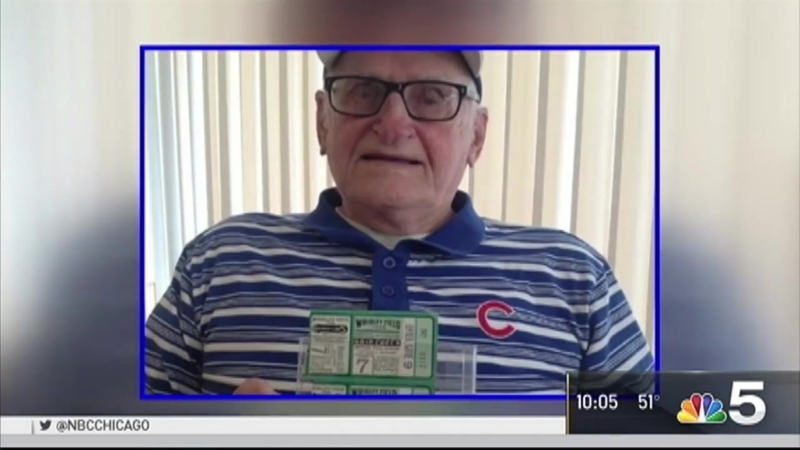 In 1945, Nienstedt’s father waited in line overnight to get tickets to Game 7. He took Nienstedt and his brother, Frank, when they were 11 and 14 years old. Despite the loss, both brothers have stayed lifelong Cubs fans. Now their family has pooled enough money together to send them back to Wrigley Field this weekend. “Finally! After all these years we finally have a chance to have some real excitement and some real thrill,” Nienstedt said.